The Egyptians shaped a lot of the world around us. They mastered farming, early medicine and of course are probably best known for the pyramids – an engineering masterpiece! They were also big on writing as a form of communication. Early cave inscribing (hieroglyphics) can still be found and referenced and they also had libraries as early as 300BC. … but I don’t do history. I borrowed that information from Wikipedia. But I was thinking about the Egyptians, the Romans, Jesus (it’s Easter after all) and I wondered what they’d think of what we have now… what we have in our pockets. Back then, communication was as important as it is now and so was the need to educated and convey a message en masse. Now… for us that’s really simple. For them it took miles, years and dedication. For us, one tweet and we’re potentially viral. What would the Egyptians have done with our internet and technology? How would the Roman empire use Facebook Live? And how much easier would it have been for Jesus if he had Instagram Stories? Those examples are just three plucked from history (OK, Wikipedia). There are many more examples of cultures and civilisations who made a difference. They captured the imagination and the attention of the masses and they moved worlds and times and created some of the most valuable and amazing content and discoveries in our world and then shared it, used it and changed things. You have more than the Roman empire had in your pocket. You can create walls worth of hieroglyphics in minutes on your smartphone. You can address your empire; your following, and share your story and message at the push of a button, the share of a story or the publish of a video. But you aren’t… well you aren’t as much as you could be – and that because you maybe don’t realise what you have in your pocket. “More people own a mobile phone than a toothbrush”. That’s a stat I roll out during some talks and workshops. Communication is more important in some developing countries than dental care. Shocking. It’s what we thrive on and it’s what’s built much of what you see around you now. [Side note] Depending on what you believe, we’re all able to pick up on each other’s signals, just like animals do. But I believe that because we can talk and email, we simply don’t do it enough and got out of practice. In your pocket is something more powerful than the computer that sent the first rocket into space and something that would have revolutionised the Roman Empire, massively increased the Egyptian learnings, and is still sharing the message of Jesus right now. I know this because there’s no limit to what you can put out on the internet and yet you’re posting a few times a week. Most people are, anyway. I come across people who are not sure they want to share their ideas, or who simply feel that they’re not interesting enough. If our predecessors thought that, we wouldn’t be where we are now…. What would the Egyptians have done with a smartphone? Suddenly giving them one that worked? Social media, the internet, the channels, and the technology we all have access to for pretty much unlimited time IS changing the world we live in. Donald Trump is currently the US President. Like him or not (not! ), he has 27.9M followers at the time of writing this. He ran a loud and brash campaign to get to the top of US politics and he used social media, the internet, and his smartphone a lot to get there. Just think how the Pharaohs would have used Twitter. PewDiePie is an influencer changing the gaming industry. He gave up on studying for a degree to build his empire on YouTube! He’s the first person to reach 10 billion views on YouTube and was named one of Time Magazine’s most influential people of 2016. He’s a YouTuber. … he records videos of himself playing games and he makes $15M a year and has over 54M subscribers! That’s one to surprise your grandparents over the dinner table. What would the Egyptians have done with YouTube? Models like Kendall Jenner are rumoured to make $300,000 per post and are changing the modelling industry forever. Yes, the images are slightly better than a grainy iPhone shot in your bedroom, but the following and the storytelling is making them even more of a star day by day. You don’t have to be a model or famous to influence people’s buying decisions though. Candace Payne’s video of her laughing whilst wearing a Chewbacca mask was Facebook’s most watched Live of 2016. She has been watched over 160M times… just being herself, having fun, wearing a mask in her car. She’s now’s verified by Facebook with a blue tick and has nearly 1M followers on Facebook. How would the Egyptians have used Facebook Live? You can share what you find, what you know. And you can help others to understand you, your mission and why you’re on this earth. 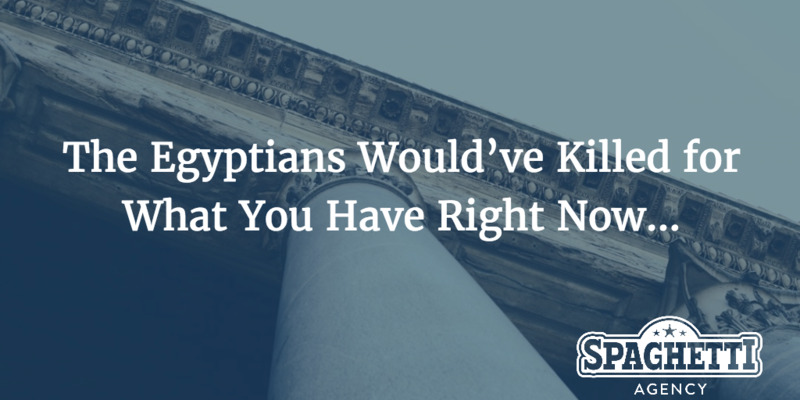 The Egyptians would have killed for this… but you’re not using it enough. I can say this with confidence because Gary Vaynerchuck isn’t on our email list or looking at my blog (yet). I’m confident that you can do better because Gary Vee can, and does, and will continue to do. 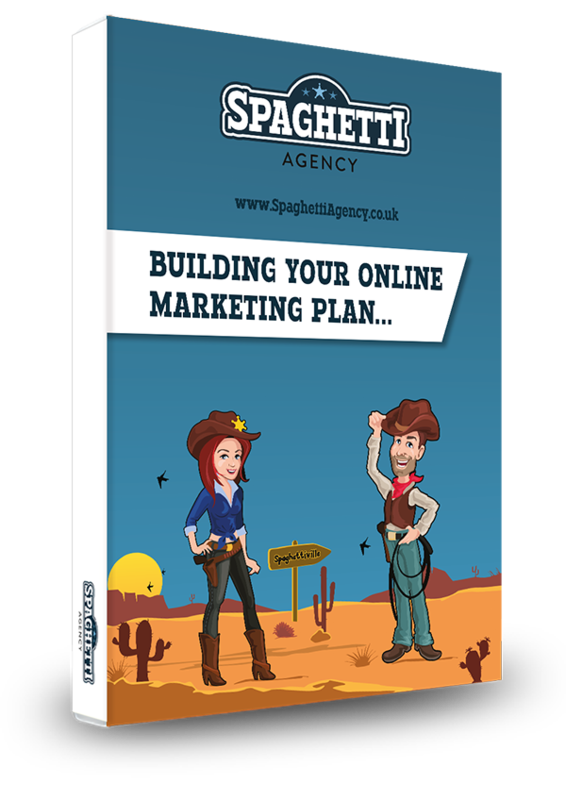 No, you may never be one of those huge £££ YouTube stars, but you could be well known on YouTube. You’ll probably not be like Kendall Jenner, but you could still amass a huge Instagram following and earn money by adding value and sharing what you do. Why not? 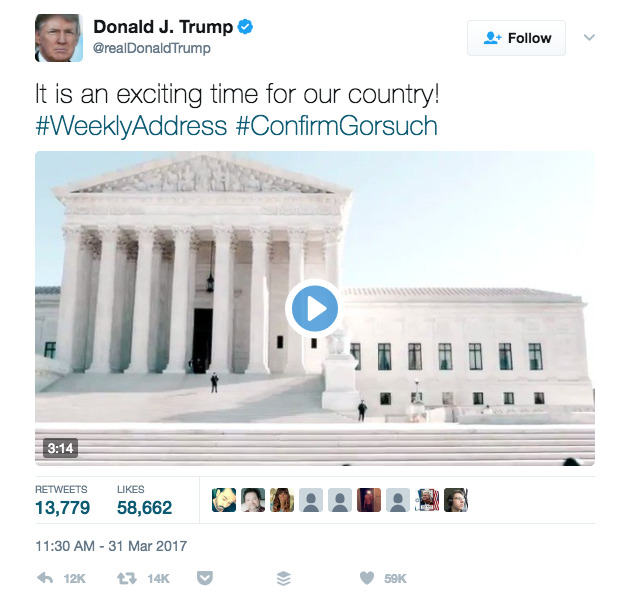 Donald Trump rules Twitter with controversial, retweetable content that gets shared and shared and shared and he’s not stopping now. (More’s the pity!) He might even be starting World War 3 with his phone, but that’s a separate blog! 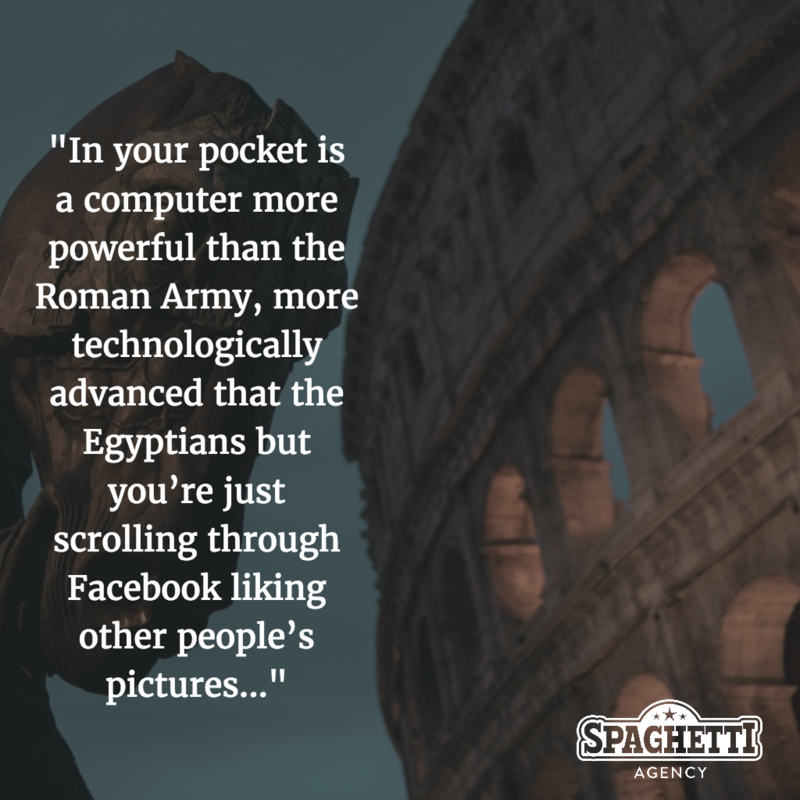 In your pocket is a computer more powerful than the Roman Army, more technologically advanced than the Egyptians… and you’re just scrolling through Facebook liking other people’s pictures. 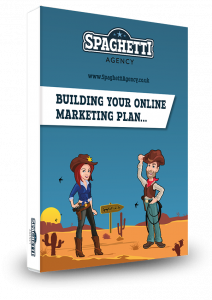 You could change the world… one post, one share, one story, one video, one live, one blog, one piece of content at a time. But you need to do more. You need to create more. You need to add value and you need to passionately believe that you can do it. We’re in an amazing time. In years to come we’ll be a generation whose real life documentation will be searchable and accessible. What will you do with that power? And what legacy will you leave behind? That’s quite profound. And in parts a bit scary!! Looking forward to your workshop a week on Friday.